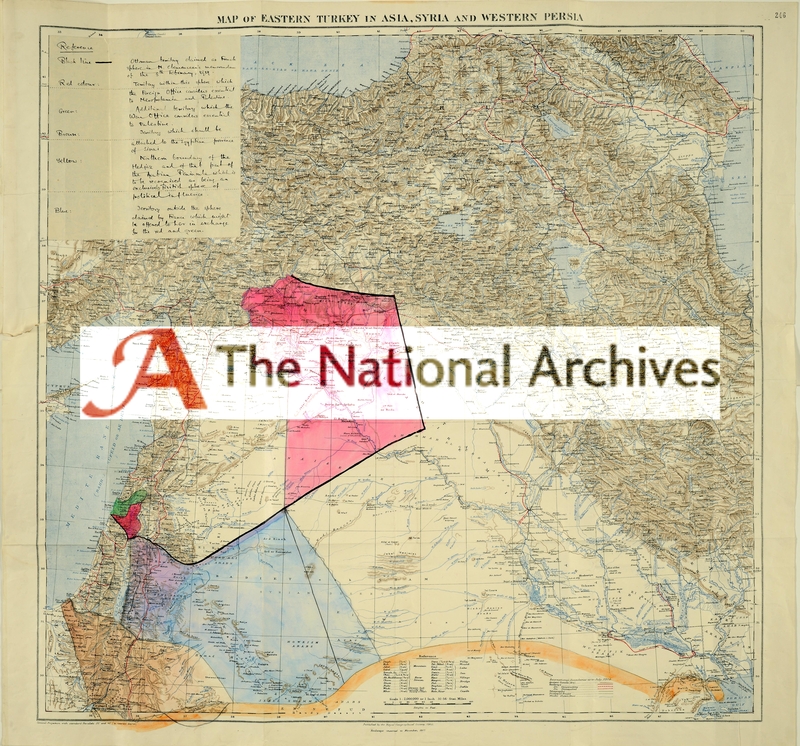 Middle Eastern Section of the British Delegation to the Paris Peace Conference, Map of the Middle East with additions, scale not given (London, March 12, 1919). National Archives of the UK (ref. F0 608/83/3, 246).